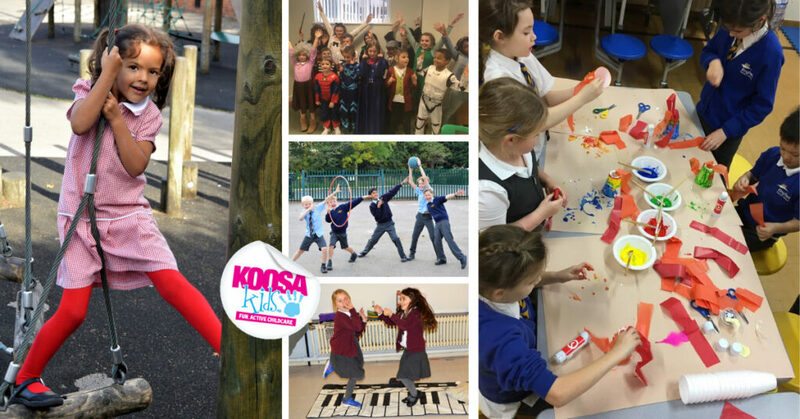 KOOSA Kids provide safe, reliable and fun breakfast and after-school childcare at St. Mary’s and St. Peter’s C of E Primary School. All clubs are fully Ofsted registered and based from the main school hall with access to the extensive outside areas. KOOSA Kids Breakfast Club runs every school day from 8:00am until school starts. Children are able to choose from a range of quiet activities including Art Tables, Board Games, Construction Games and much more. A healthy and nutritious breakfast is provided each morning until 8.20am (fruit, toast, cereals, fruit drinks). KOOSA Kids After School Club runs every school day from school finish until 6pm. Children are able to choose from a host of activities including Construction Games, Art Tables, Role Play, Book Corners, Puzzles, Train Sets, Play Mats and a large selection of active games such as Football, Hockey, Rounders and much more. A healthy and nutritious snack is provided (toast, crumpets / pittas & fruit platters). Book for single or multiple sessions (Breakfast Club up to 1pm the working day before and After School Club up to 6pm the working day before) and if your requirements are fixed, we can offer a ‘permanent places agreement’ to guarantee sessions each half term. KOOSA Kids also run Holiday Clubs for 4-13 year-olds in the Richmond area,every school holiday. Locations include Hampton, Sheen, Teddington, Twickenham & Whitton. For more information or to make a booking, contact KOOSA Kids on 01276 21884 or visit www.koosakids.co.uk.